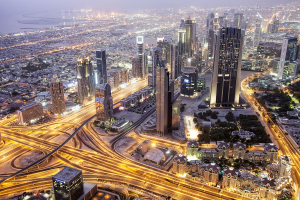 Dubai: Dubai property prices have started to inch their way back from their current lows — so much so potential property buyers will no longer be able to stay undecided for far longer. The residential transaction volumes and total value of transactions were up by 30 per cent in Q4-2016 compared to the third quarter. “This is a possible indication that the gap between what a seller expects to achieve and the amount that a buyer is actually willing to pay is closing still further,” said Robin Teh, Chestertons’ Country Manager — UAE and Valuations & Advisory Director, Mena. Dubai Marina, International City, Dubai Sports City, Emaar’s Emirates Living communities and Jumeirah Lake Towers were the top five locations in both transaction values and volumes during the fourth quarter, with Dubai Marina at the top spot with 416 transactions worth Dh724 million and Dh2.9 billion through 2016. Across Dubai’s freehold zones, apartment sale prices had a marginal decline of 1 per cent in the final three months, while year-on-year there was an average decline of up to 3 per cent. “The worst performing area was Dubailand, where the average sale price for apartments fell by as much as 4 per cent in Q4 compared to the previous quarter, and 9 per cent overall for the year,” the report adds. Around 3,000 residential units entered the market in Q4-2016. On average, there was a 2 per cent drop in apartment rents Q4 2016 across all areas and a 3 per cent decline year-on-year.